After a great work out session, what better way is there to put the pounds back on than a big, satisfying brunch? That's exactly what my friends and I did. 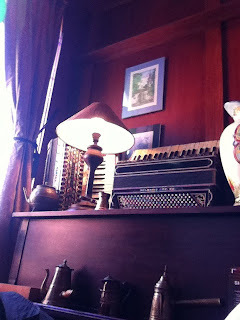 Upon entering New York Bagel Cafe, it literally felt like I was walking into someone's house. This "mom and pop" shop has a really warm and inviting atmosphere. The floors, tables and chairs are made of wood and the walls are a nice burgundy red. Knick-knacks from toys and books to old kettles cover the entire restaurant giving it a homey feel. People are talking and laughing while enjoying their plates full of food. 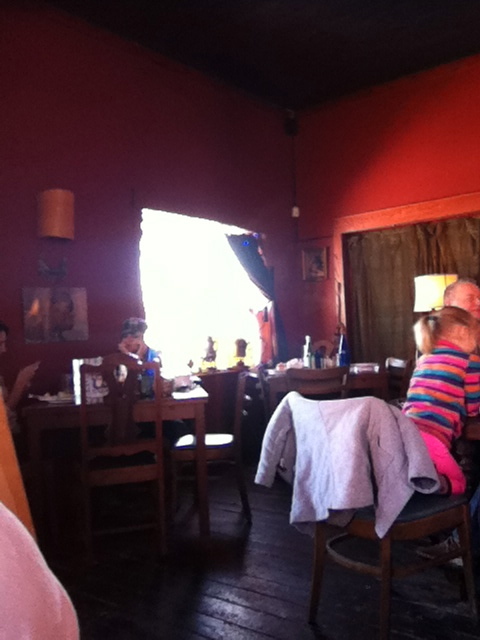 The entire restaurant only has about 12 tables in roughly 900 sq. feet. 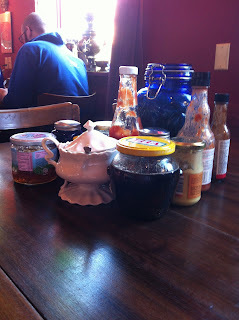 After being promptly seated, we noticed the plethora of unique jars, bottles and condiments spread out on the tables. 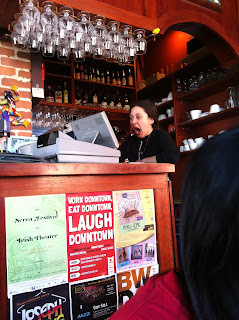 This is one of the interesting and special things about the New York Bagel Cafe. The condiments ranged from the common Frank's Red Hot Sauce to more foreign spreads such as preserved dates and something called Magic Garden, a rose infused jelly (which had a very STRONG rose smell!). After flipping through the 5-6 page menu, we decided on the french toast, the Secondo Eggs Benedict and the Fresh & Sweet to be shared between the three of us. We were slightly disappointed when the waitress stated they were out of cinnamon french toast (you have a choice of cinnamon buns or Hala bread). When the food came out, I was impressed with the portion size but there is nothing really fancy about the plating of the food at New York Bagel Cafe. 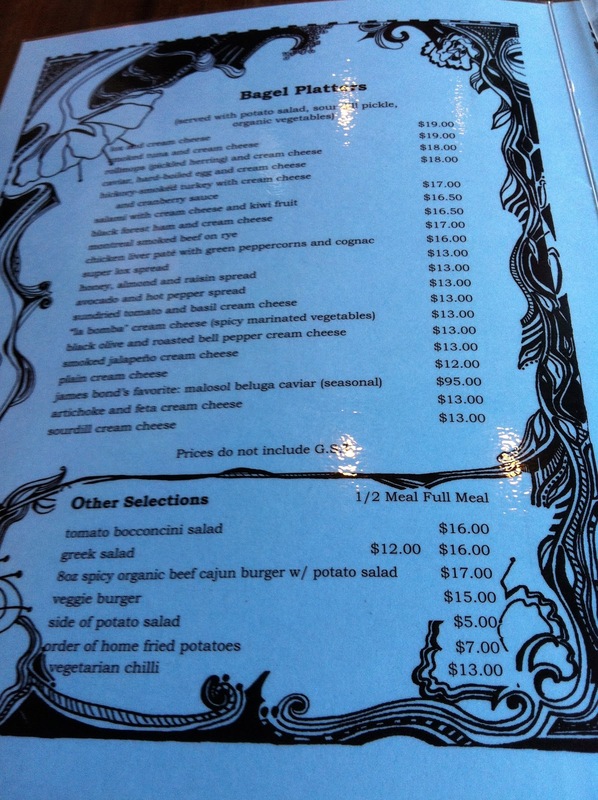 The food is served in a homestyle manner, with the feel of something your mom would make. Hala, or challah, bread is a Jewish braided egg bread that contains no dairy or meat. 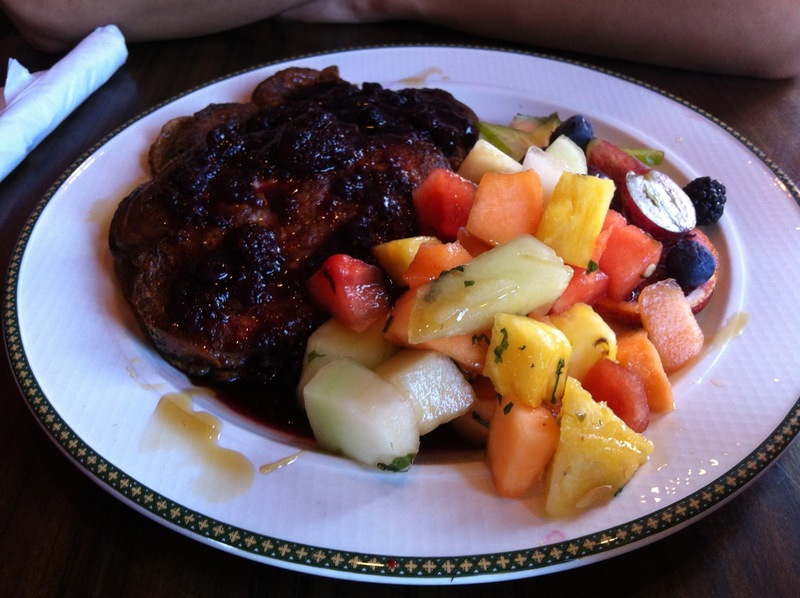 The thick slices of french toast were topped with a rich reduction of blackberry compote. 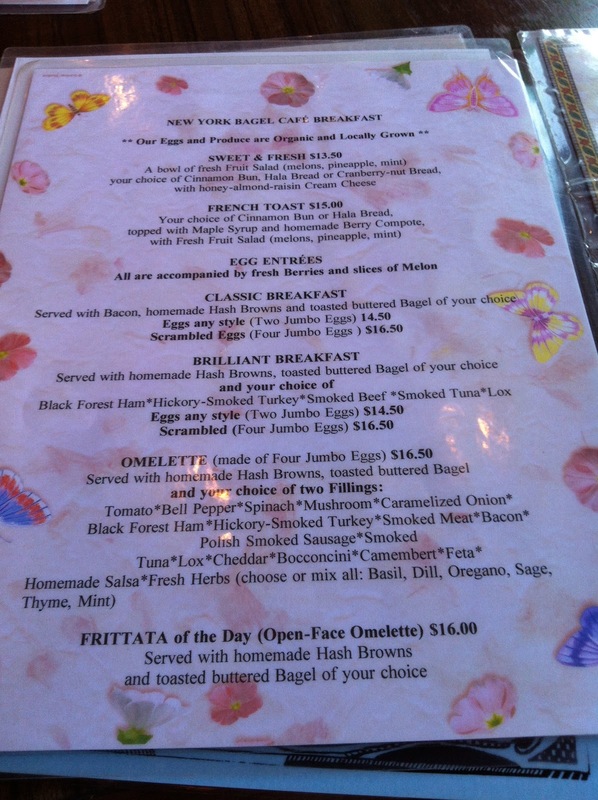 I was not a big fan of the french toast as it really did not stand out much. The bread soaked up all of the juices from the compote which made the entire dish a bit too sweet for me. The fruit salad which accompanied the dish was composed of cantaloupe, honeydew, pineapple, and watermelon slices mixed with a bit of simple syrup and chopped mint leaves. It was refreshing and enormous, the perfect side dish as a less heavy brunch option. 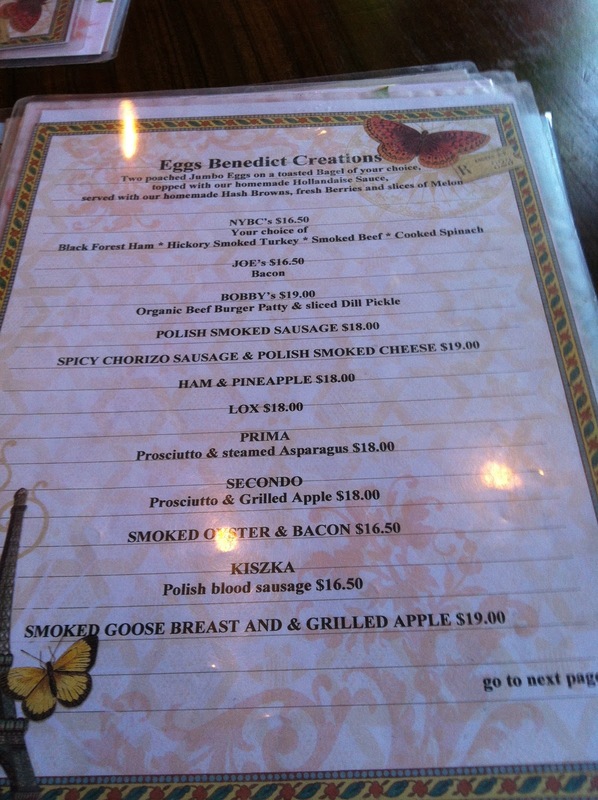 For those who are eggs benedict enthusiasts, NYBC has more than 20 different varieties to pick and choose from. The Secondo Eggs Benedict had two poached eggs on a toasted homemade bagel (your choice of course!) topped with grilled green apple slices and salty prosciutto. Accompanying the meal was a side of hollandaise sauce, slices of grapefruit and cantaloupe, and some hash browns. 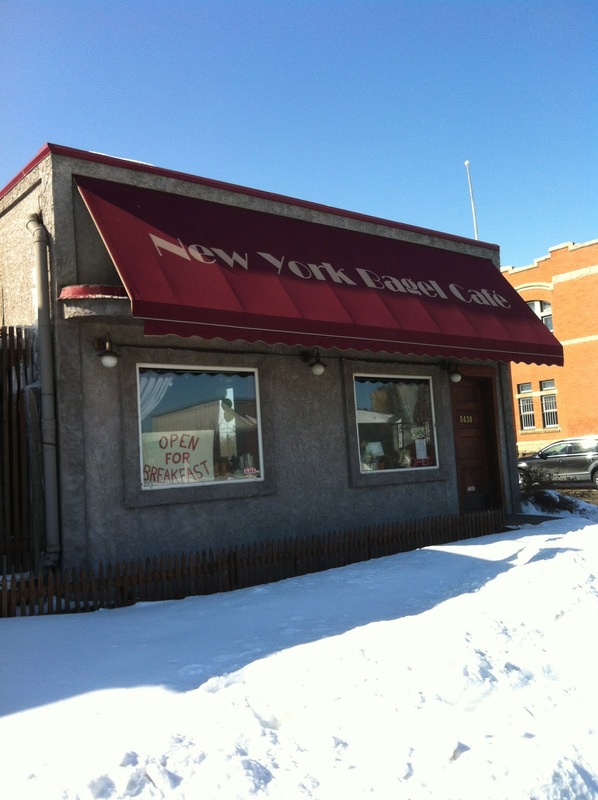 New York Bagel Cafe makes all of their bagels in house. There were a variety of choices, from sesame to plain, but we decided on the multigrain bagel. For a restaurant which should have some of the best bagels in Edmonton because of their name, I can't really say that I was blown away. The bagel was relatively small and no distinct flavors stood out. However, the bagel did provide a nice platform for the poached eggs, hollandaise sauce, apples and prosciutto. 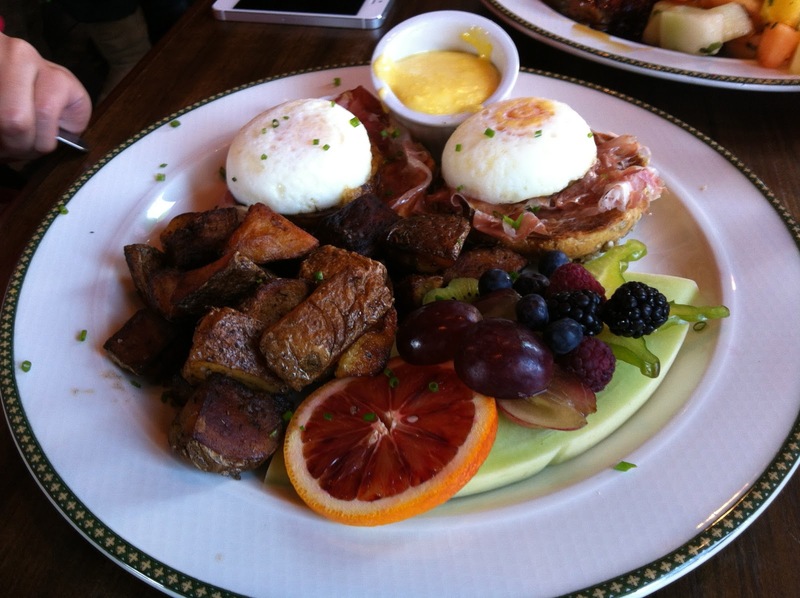 The hollandaise sauce did not have much flavor and did not enhance the eggs benny; if the kitchen would have forgotten to add it to the plate, I wouldn't have even known it was missing. To me, the eggs were slightly overcooked. I like the eggs on my benedicts to be running down, covering everything else. The warm, runny egg yolks add a nice rich texture which enhances the meal. This dish did not have that. The homemade hash browns were definitely my favorite thing of the day. The hash browns were perfectly cooked, with a crunchy and crispy texture that I suspect was accomplished by deep frying at the end of the cooking process. They had just the right amount of salt and were perfectly cooked. I was not in the mood for anything heavy so I decided on the "Sweet & Fresh" plate, composed of a bowl of fruit salad and your choice of cinnamon bun, Hala bread or cranberry-nut bread. I decided to go with the cinnamon bun (apparently they had normal cinnamon buns but not the slices they use for the french toast?). 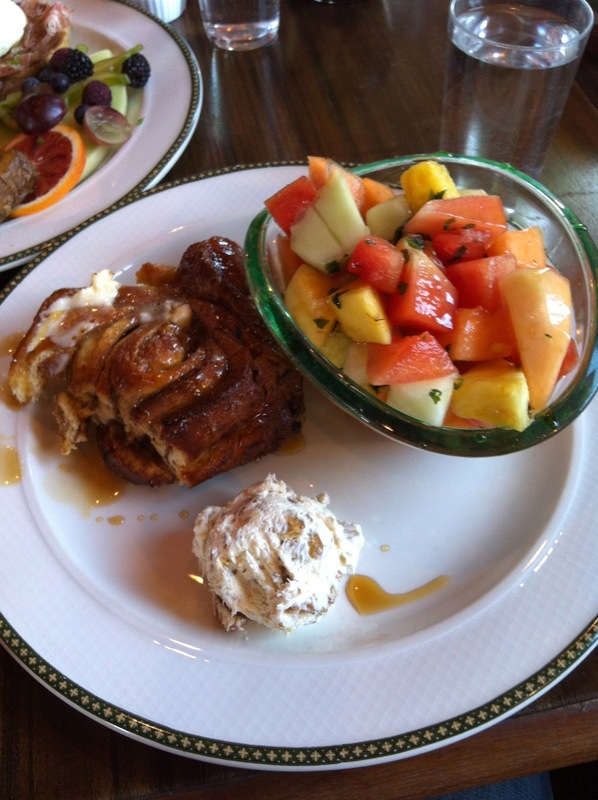 The cinnamon bun was accompanied by a side of cream cheese mixed with honey, almonds and raisins. The cream cheese was definitely one of the highlights of this dish. The flavors of honey and nuts incorporated into this homemade spread was just delectable. The cream cheese was so smooth and not overly sweet, which most frosting usually is. After our meal, we decided to treat ourselves to the free candy laid out on the open piano top. This was not such a good idea - with one bite into the soft candy, the unpleasant taste of orange flavored marzipan filled our mouths (none of us are really big fans of marzipan!). Service was above average, as the waitress and servers were very friendly. However, since I'd never been to the New York Bagel Cafe, I thought this place would have been a little cheaper than it was. 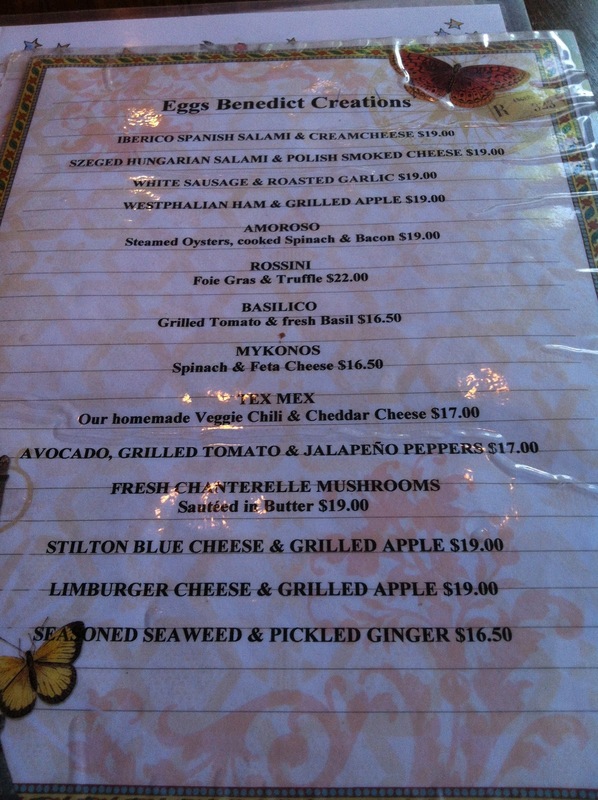 The prices for breakfast/brunch range from ~$15-20, which isn't exactly ideal especially compared to other places. Yet I will be back to New York Bagel Cafe because the food was quite tasty and the atmosphere was great for brunch. When I do go back, it will be just like going to my mother's house.